Sani Solutions Ltd was set-up by Guy Hockey after working as a Saniflo Engineer since 1995. Our business started as an approved Saniflo company covering Dorset and Hampshire. 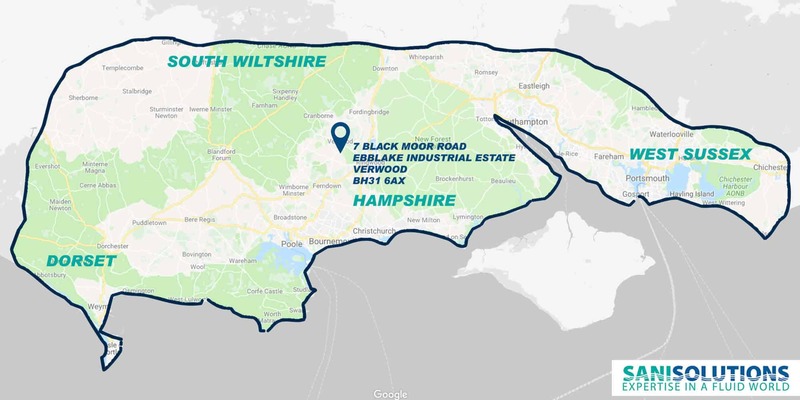 As the SaniFlo product became more popular our service team has grown to cover Dorset, Hampshire, Somerset and West Sussex, providing a 7 day service throughout the year. We expanded the business to cover Plumbing and Drainage solutions very quickly due to a strong demand from our existing Saniflo customers wanting general plumbing and drainage work and their recommending us to friends and family!